Apple CEO Steve Jobs wowed the crowd during the companys World Wide Developer Conference back in June with demos of various iPhone games that were in development for eventual App Store release. One of the more impressive titles was Digital Legends Kroll. Kroll appeared in the App Store today as a $7.99 download. 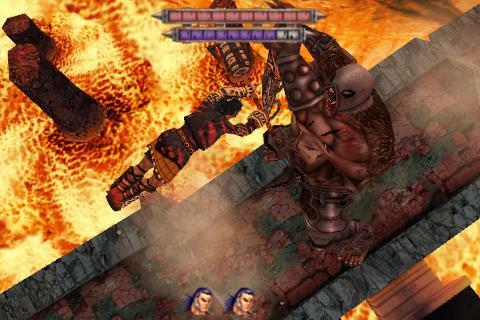 Kroll is described as a 3D-rendered side-scrolling fighter divided into three chapters, each of which includes three levels plus a boss battle. The game is controlled by touching six icons arrayed about the edges of the iPhones screen. Said controls consist of left / right movement, left / right quick attacks, and left / right delivery of slower, more powerful attacks.